Today, most people can’t imagine their sports activities without fitness apps. Fitness apps change your sports experience and help you be more effective. With apps, you can count calories burned and number of reps, plan your workout routine and do much more. If you visit the Google Play Store or the Apple App Store, you’ll find lots of fitness apps gaining popularity. At first glance, it may seem that it’s extremely difficult to enter this industry. But in fact, you can find your place in the sun anywhere if you have a well-thought-out approach. The preferences of casual gym-goers and professional athletes are constantly changing. Knowing the latest fitness industry trends can help you choose the right approach to enter the market. In this article, we’ve predicted which health and fitness apps of 2017 will be popular based on what sports activities are currently popular. The 11th annual report by the American College of Sports Medicine (ACSM) identified some brand new trends for 2017. The report is based on a global survey with 1,801 respondents. We won’t tell you about all 42 trends, but let’s consider the top five. Wearable technologies include smart watches, tracking devices, heart rate monitors, and GPS devices. Wearables emerged relatively recently, but have already gained great popularity. The hype around wearables seemed to be over a year or so ago. Nevertheless, wearables is the number one trend for the second year in a row. Moreover, a lot of economists predicts further growth in the wearables segment. According to ABIresearch, Apple will have sold 485 million iWatches alone by the end of 2018. Juniper Research predicts $1.5 billion in revenue from the sale of smart glasses in 2017, and Global Industry Analysts estimates that in 2017 $2.6 billion will be earned from the sale of smart fabrics. According to CCS Insight, 411 million smart wearables will be sold in 2020, by which time the wearable tech market will be worth $34 billion. Initially, Strava was created for smartphones, but it became so popular that its creators decided to extend its functionality to wearables as well. The Strava application uses GPS to track metrics such as distance and speed. It also calculates calories burned and heart rate, and allows you to save routes. Google Fit tracks all the same metrics as Strava and many other applications, but it also allows you to collect and analyze your data from other apps. Applications for wearables are designed to be your assistants not only in running and cycling, but in other sports activities as well. Apps like FitStar Yoga allow you to track time spent on one position, measure your heartbeat and breathing, and even display the correct asanas to make your workout as effective as possible. At the end of a workout, FitStar Yoga will show you data on burned calories and you’ll be able to estimate how difficult your training was for you so that the application can correct for the next training. Bodyweight training is a form of resistance training with a minimum amount of equipment and where the weight of your body is used. The most popular bodyweight training exercises are push-ups, squats, pull-ups, planks, and more. This kind of training has become popular over the last four years since placing third in ACSM’s 2013 report. Its popularity is driven by its low cost (you don’t need a lot of equipment) and the results of gym-goers have proven its efficiency. The You Are Your Own Gym application offers a huge selection of workouts at different complexity levels, and users can exercise anywhere. All the app’s exercises are created by Mark Lauren – one the best bodyweight trainers in the world. For iOS users, the app integrates with Apple’s HealthKit to save your progress. Gorilla Workout adds some gamified elements to your fitness activities with a cartoon character and fun challenges, and offers a bunch of different workout programs that you can pass just as you play a game – level by level. Like its competitors, Sworkit has many different programs. But along with bodyweight workouts, it also offers some yoga and pilates activities. HIIT includes a set of intensive exercises with small breaks. Usually, an HIIT training lasts no more than 30 minutes. HIIT has been a leading trend for the last three years even though most respondents note the danger of injuries and most newcomers to the gym start this type of training but soon give it up. The 12 Minute Athlete app has a range of different programs for HIIT training. To start, a user should choose which equipment they have and how long they want each training to be. 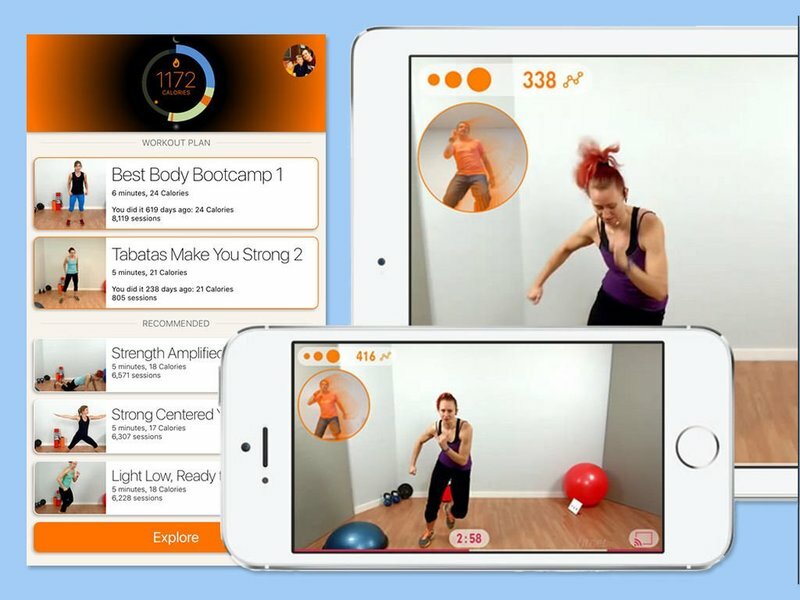 All the exercises in the app have text and video descriptions. The app also has an Apple Watch edition. This application doesn’t offer you a set of exercises, but instead offers an advanced timer to help you build your workout effectively. You can choose your level, duration, number of workout periods, and more. Tabata Pro has similar features to HIIT workout timer. You can set your workout duration, intensity, and the number and duration of rest intervals, and its timer will ensure that your workout follows the correct structure. The fitness industry continues to grow and, accordingly, the market for personal trainers becomes even more crowded. Customer expectations are increasing because the more trainers there are on the market the more qualified they have to be since customers have a wide variety of options. That’s why training with certified fitness professionals entered the top four trends this year. According to the US Bureau of Labor Statistics, there will be eight percent growth in professional fitness trainer employment by 2024. Another reason for the popularity of apps that connect people with personal trainers is that people want instant feedback. Regular apps can track results, but don’t tell users what to do next and how to improve their workout programs. Fitnet Live Coach offers users a monthly subscription to personal trainings with a trainer. The app connects users and trainers via messaging or video calls to arrange dates and times for trainings. When users performs their workouts, trainers can see what they do via a device’s camera. Moreover, the app’s algorithms can process incoming video streams to analyze how well users are doing. The algorithm is created to help trainers lead several people in training simultaneously and see who needs help at a specific moment. With the Apple Watch version of Fitnet, users can track different metrics during their training. Fitnet also integrates with Apple TV and ChromeCast for a big picture experience. 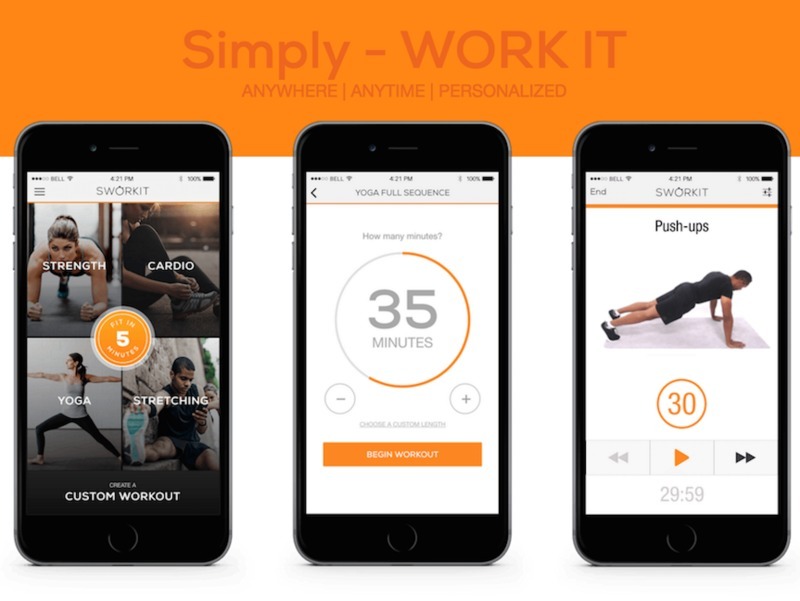 Fitspot is a platform that connects users with certified personal trainers on-demand. It’ll cost you $69 to schedule with a personal trainer for any location, date, and time. Handstand has the same features as Fitspot: users can book trainings at home or at a partner gym, and a nearby trainer will come with all the necessary equipment and conduct the training. All coaches and trainers offered by Fitspot and Handstand are curated and have gone through background checks. Strength training is popular among all categories of sportspeople, including among both younger and older generations. Weight training is used as rehabilitation after various kinds of diseases and surgical procedures. In all 11 years of ACSM’s survey, strength training has held a leading position. Nevertheless, its position is decreasing. In 2016 and 2015, strength training took fourth place; it took second in 2014. Pumping Weight is your personal assistant for weightlifting training. The app provides many functions for calculating metrics, displaying progress in the form of convenient graphs, and planning future trainings. FitStar provides similar features to Pumping Weight but, in addition, contains algorithms that form a user’s next workout program based on feedback about the complexity of the exercises and a user’s progress. And the app has his own motivator – Tony Gonzalez, a former NFL goliath – can assess users’ progress and give advice. 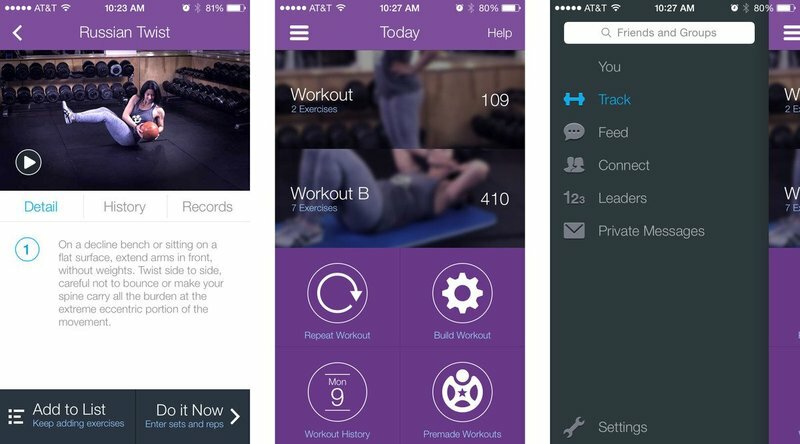 Fitocracy tracks the metrics of all users in a gym and adds gamification to the process. Users can achieve goals and win badges, compete with others, share their results, and motivate each other. Fitocracy includes a lot of workout programs created by professional trainers. Now you know the five hottest fitness niches in which to create your app. But how can you build an app that becomes popular among users? Let’s find out by looking at the top technology trends for fitness apps. “In 2017, specifically, we see the fitness experience becoming even more mobile,” says Google’s business development pro Mary Liz McCurdy. Fitness applications are extremely popular among sportspeople, especially among the younger generation. The popularity of fitness apps among youth will lead to big changes in this product category in 2017. Today, fitness applications are not just trackers. They allow you to communicate with coaches and friends, motivate others, post photos, share results, and train no matter where you are. Experts believe that the trend of making apps more user friendly will continue, and that fitness applications will become real personal assistants integral to your fitness routine. In 2017, applications for personal training will become even more popular. The growing popularity of personal trainer apps is proven by the inclusion of this trend in the top five list in ACSM’s report. Not everyone who wants to work out is able to visit a gym. Of course, there are a lot of training videos on YouTube and other services; still, some people prefer face-to-face interaction. “Insta-fitness-stars” dominate on social media, and are better at marketing than experienced trainers. But their popularity is based on the motivation they give to their followers. To create their own unique fitness programs, consumers search for certified professionals with proven experience. With apps like Daily Burn, users can watch workouts online and train anywhere in the world. Such applications can be both platforms connecting independent trainers and clients and products of sports clubs that help clubs reach their clients. Gamification is a ubiquitous trend in mobile apps. App creators try to make their apps not only useful but also fun. 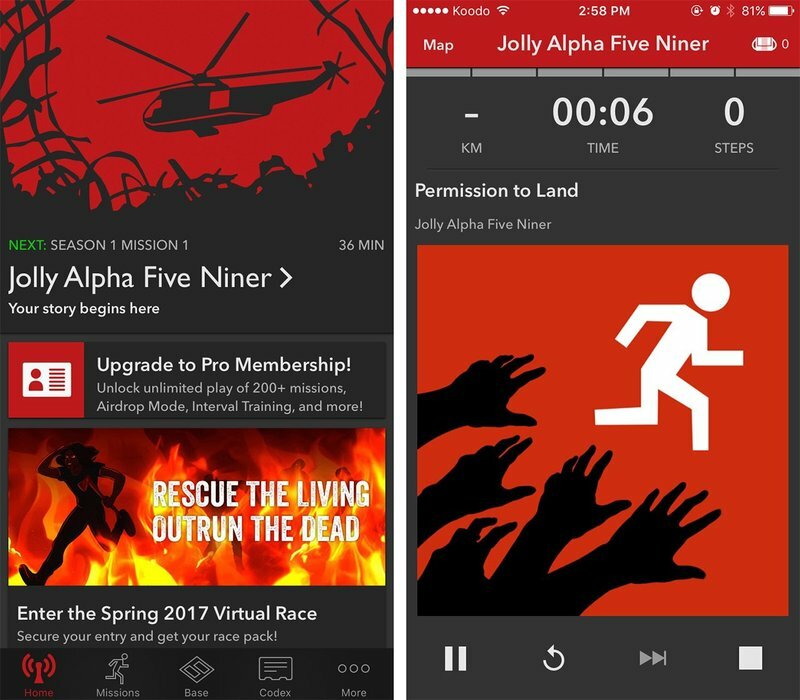 There are a lot of exciting fitness apps including Zombies, Run! and Tracks that provide users with entertaining features along with traditional tracking features. After an exhausting workout, it’s nice to calm down and relax a bit. Mediation has become extremely popular among fitness lovers. Apps like Simple Habit and Headspace help their users to take some time for meditation through a series of activities. McCurdy says that this sector has grown by 50 percent year-over-year. 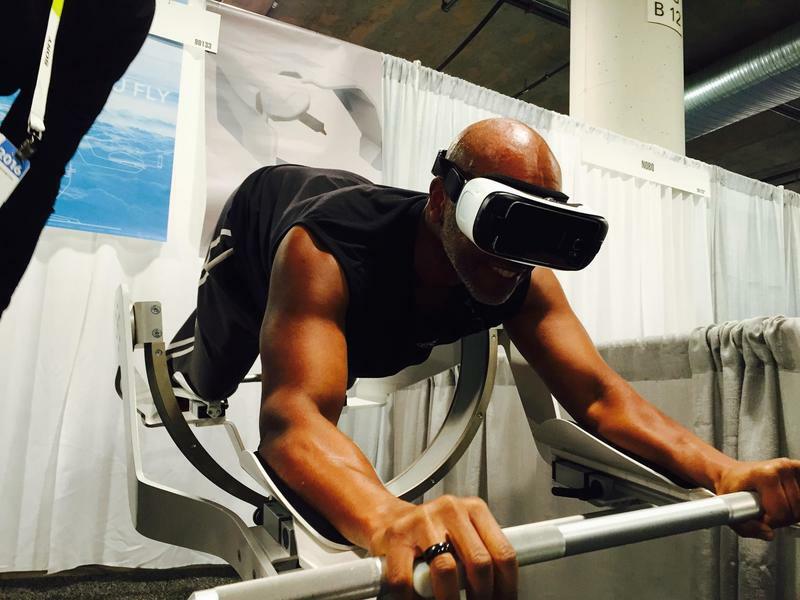 VR technology is now popular in almost all industries, and fitness is no exception. Experts predict an increase in the number of VR fitness apps in 2017. Some gyms in the USA use VR headsets with their cycling training to make clients feel like they are riding through a forest or on a mountain. The fitness industry is becoming more digital. There are more devices and apps for fitness activities, and the companies on the market are using more advanced technologies. It’s difficult for newcomers to the market to find their niche. But by analyzing the industry and the opportunities it offers, it becomes easier to successfully enter the market.